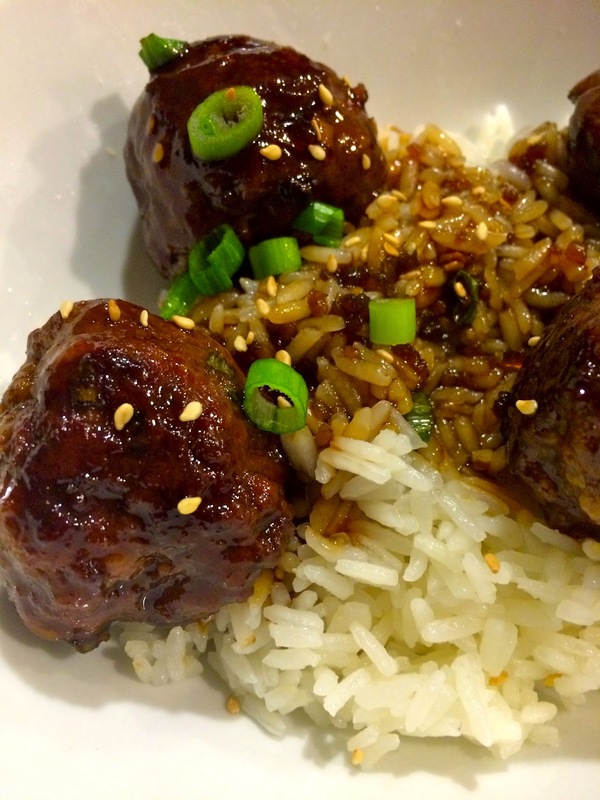 These Asian style meatballs were delightful. 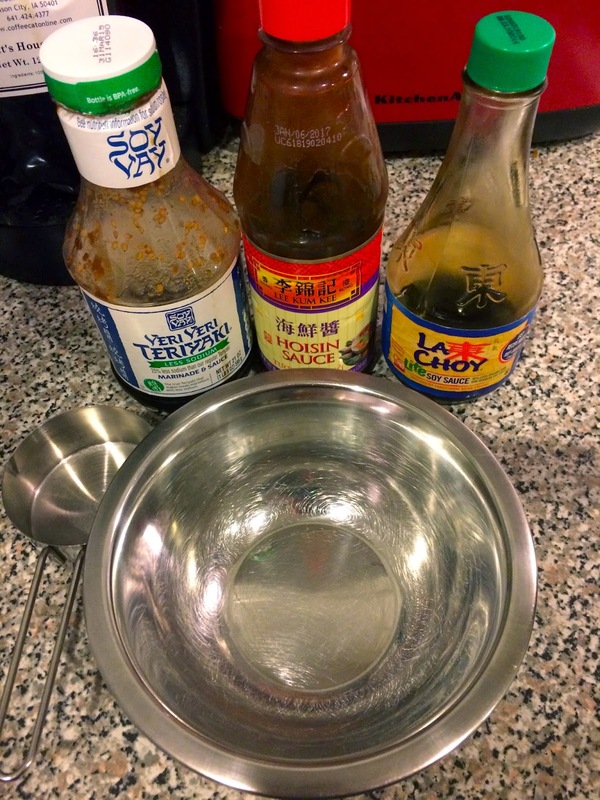 Hoisin sauce is a favorite in our house, so I hope you all enjoy the recipe we created! 2. In a larger bowl, mix together (with your hands) the beef, garlic, scallions, salt & pepper, soy sauce, egg and breadcrumbs. Form golf ball sized balls with the mixture and place on baking tray. 3. 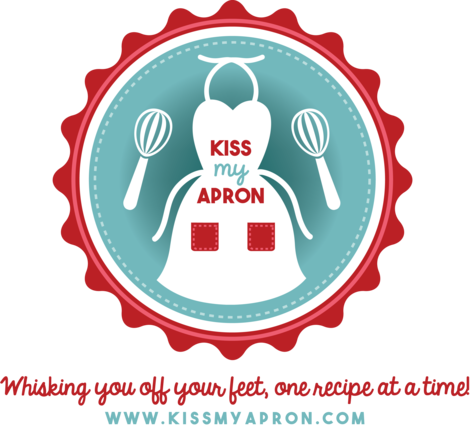 Bake meatballs in oven for 9 minutes, turn them over, and bake for an additional 9 minutes. (18 minutes total). 4. 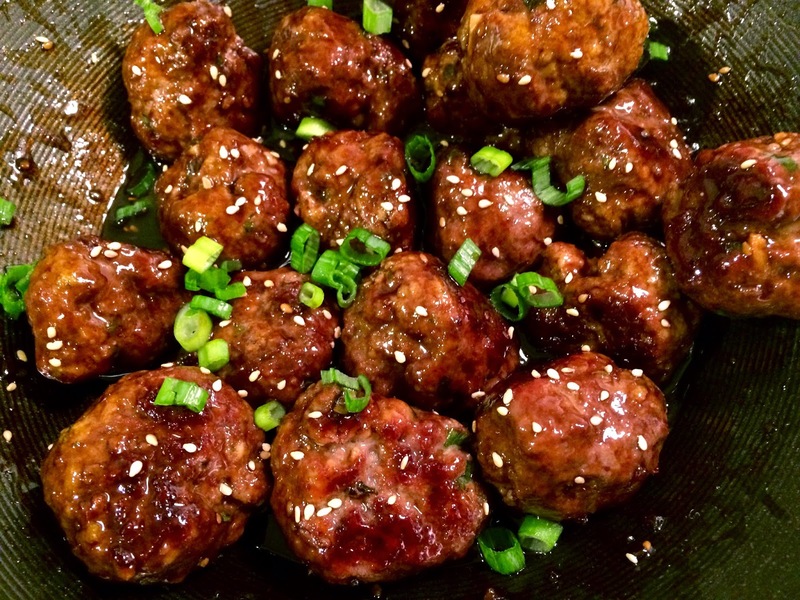 When meatballs are just about done, mix hoisin, soy sauce, teriyaki, and sherry together in a bowl. Heat a wok or medium sized sauce pan on medium heat. 5. Once wok/pan is hot, add in sauce and heat for about 1 minute. Lower heat, add meatballs to sauce and mix until all are coated. Add sesame seeds & scallions to garnish. Serve over white rice, or by themselves for an appetizer.